Next week, a panel of local women leaders (and one in the making) will talk about “solving the equation” of the underrepresentation of women in Science, Technology, Engineering and Math fields. AAUW Honolulu, the local chapter of the national American Association of University Women founded in 1922, is hosting the evening conversation about the variables that affect the opportunities for success that women have in engineering and computing. A nice complement to the “Women in Tech” event hosted by the HVCA earlier this year, the Wednesday event will aim its spotlight earlier in the professional pipeline. “The lack of women in the fields of science, technology, engineering and mathematics means the U.S. is less competitive in the global marketplace because half the population isn’t proportionally represented,” AAUW president Joanna Amberger said in a statement. Melton is also the former entrepreneurial innovation director for the Maryland Technology Development Corp. (TEDCO) and co-founder and past president of Women In Bio, a non-profit organization dedicated to helping women entrepreneurs, executives and career women in the life sciences. 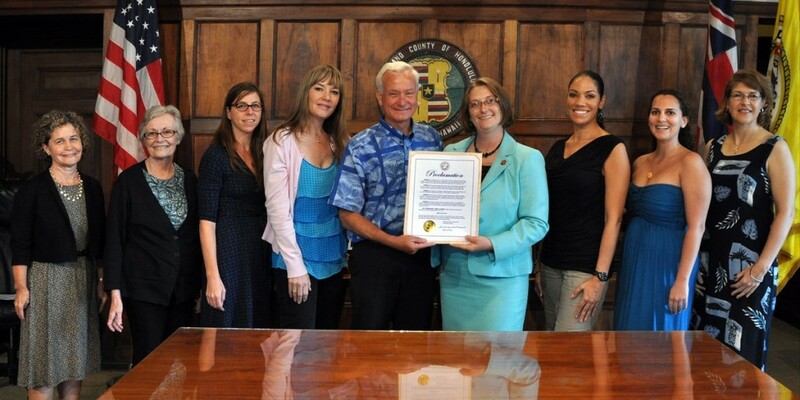 In addition to leading the all-girls Honolulu school, White currently serves on the board of the Domestic Violence Action Center, which is marking its 20th anniversary this year. She was the chair of the Central Union Preschool Committee and also served on the Governor’s leadership committee for the International Women’s Conference for the past five years. Wilkins oversees a program designed to recruit and retain girls and women and under represented groups in to the STEM pipeline. Topping’s 20-year career includes stints at at Ike (formerly DataHouse), Adtech/Spirent Communications, and The Boeing Company. Noborikawa is a delegate for Castle High School’s Sustainable Hawaii Youth Leadership Initiative, president of the Student Council, Key Club, and the National Honor Society. She hopes to pursue her interest in mathematics through a career in cryptography. 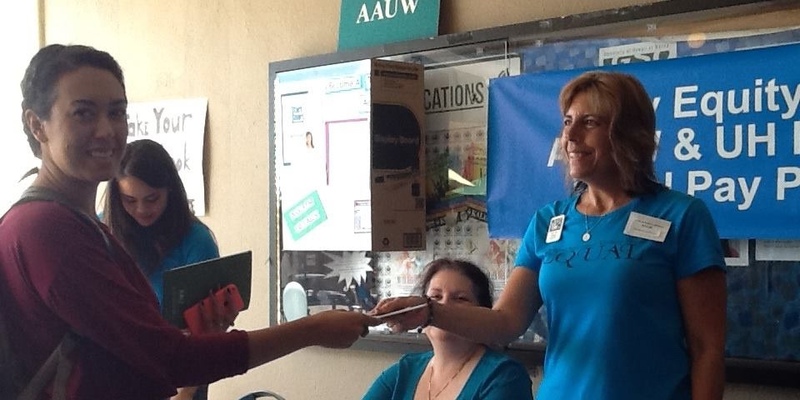 On the education front, AAUW Honolulu previously hosted Tech Savvy, its parent organization’s nationwide career conference for girls in sixth through ninth grade. Held in March at Windward Community College, and set to return in 2016, Tech Savvy includes both students and their families to reinforce interest in STEM. “Solving the Equation: The Variables for Women’s Success in Engineering and Computing” will be held on Wednesday, Nov. 4 from 6 p.m. to 8 p.m. at the Manoa Innovation Center (2800 Woodlawn Drive). Space is limited, to interested attendees are encouraged to RSVP online. Advance registration also provides the chance to order catered dinner from Kakaako Kitchen, although you can also bring your own food (beverages and dessert will be provided). For more information, visit the AAUW Honolulu website, or connect with the association on Facebook.